What is it like to live underwater? How does it feel to warm yourself on a rock? Get an introduction to the living world by meeting small mammals, reptiles, and arthropods. 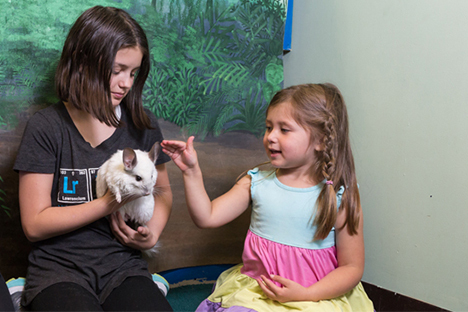 In the Critter Corner, which is perfect for ages 8 and under, you can observe how animals move, feel, and eat. Read stories and role-play with toy animals and habitats so that you can better understand animal life.